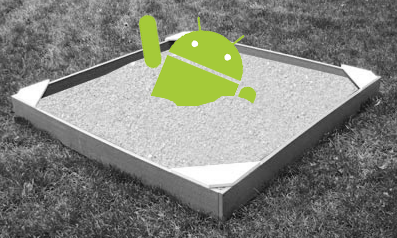 The Dalvik virtual machine is implemented by Google for the Android OS, and functions as the Interpreter for Java code running on Android devices. 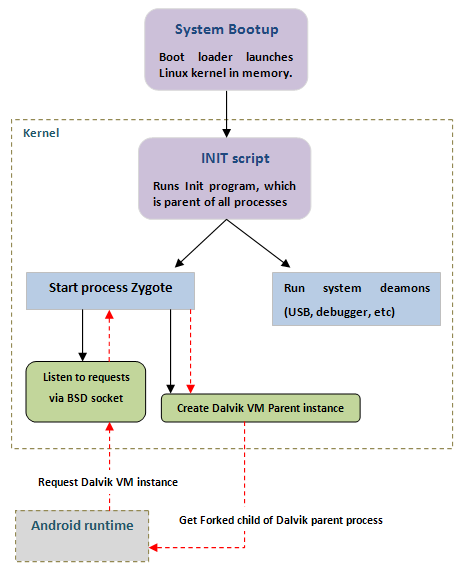 It is a process virtual machine, whereby the the underlying Linux kernel of the Android OS spawns a new Dalvik VM instance for every process. 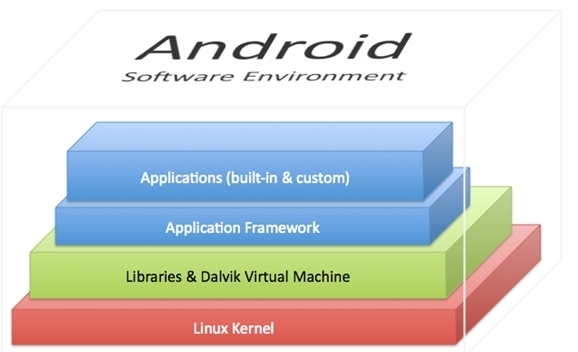 Each process in Android has its own Dalvik VM instance. This reduces the chances of multi-application failure if one Dalvik VM crashes. Dalvik uses register based unlike java uses stack based. Dalvik differs from the Java virtual machine in that it executes Dalvik byte code, and not the traditional Java byte code. 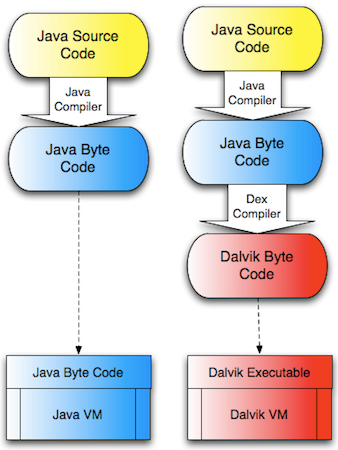 There is an intermediary step between the Java compiler and the Dalvik VM, that converts the Java byte code to Dalvik byte code, and this step is taken up by the DEX compiler.